Sit back, relax, and see what makes Martha’s Vineyard one of the most beloved summer destinations in one of our signature buses. A MV Sightseeing bus tour is the perfect introduction to Martha’s Vineyard, while enjoying a leisurely, comfortable ride. Learn local history, and insider information from our knowledgeable bus drivers. Each driver is equipped with wireless headsets and CDL certified, fully insured, and committed to your satisfaction. MV Sightseeing’s Full Island Bus Tour allows you to conveniently see all six diverse towns on Martha’s Vineyard. The lively, diverse town of Oak Bluffs was originally incorporated under the name of Cottage City in 1880. The town served as a popular Methodist revival campground in the 19th century, which gave way to the brightly colored "gingerbread houses” that decorate the town today. Idyllic Ocean Park is home to a waterfront gazebo and iconic victorian estates, as well as the Island’s annual kite festival and spectacular July 4th firework displays. Nearby we'll pass the bustling Oak Bluffs Harbor; Flying Horses Carousel, the nation’s largest operating carousel; and Circuit Avenue, the town’s busy main drag. 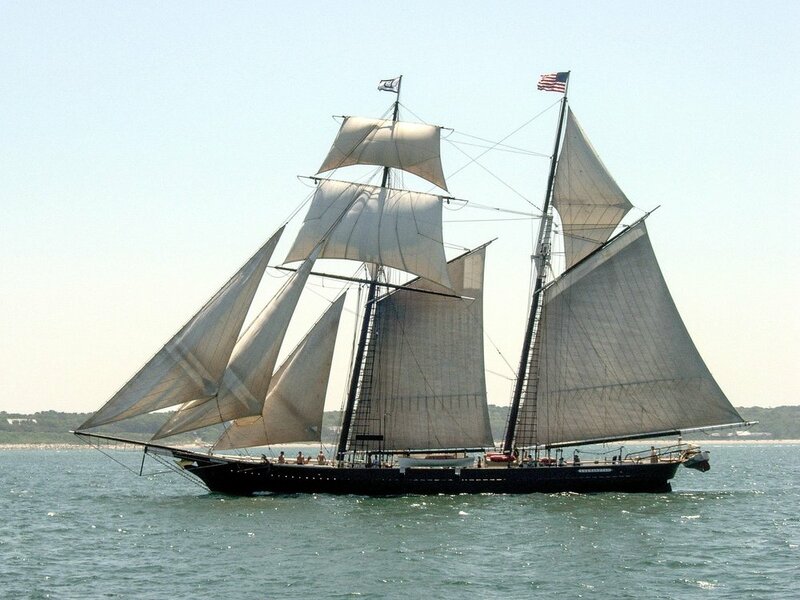 Neighboring Vineyard Haven is where we find the year round Steamship Authority terminal and the original Black Dog Tavern and Wharf, home to the world renowned Shenandoah and Alabama tall ship sail boats. “VH” as the locals call it, offers a quaint Main Street with boutique shops, art galleries, cafes and restaurants. Vineyard Haven is also home to the historic Capawock Theater and future home of the Martha’s Vineyard Museum. The tour also includes a drive through Edgartown, a picturesque resort community with strong ties to the whaling industry. Historic clapboard Captain’s homes line the downtown, paying homage to the town's past, along with the iconic Edgartown lighthouse. Various shops, art galleries, and world class restaurants decorate the downtown streets, along with historic landmarks the Old Whaling Church and Daniel Fisher House. Our tour also includes locations “up-Island,” how the locals refer to the west side of Martha’s Vineyard. We pass through the town of West Tisbury, a quaint, rural town that’s home to the famous summer farmers market, and the Agricultural Hall, which hosts the annual Ag Fair now in its 157th year. Next comes Chilmark, a bucolic oceanside community, known for its beautiful beaches, thriving fishing industry, and rolling hills. 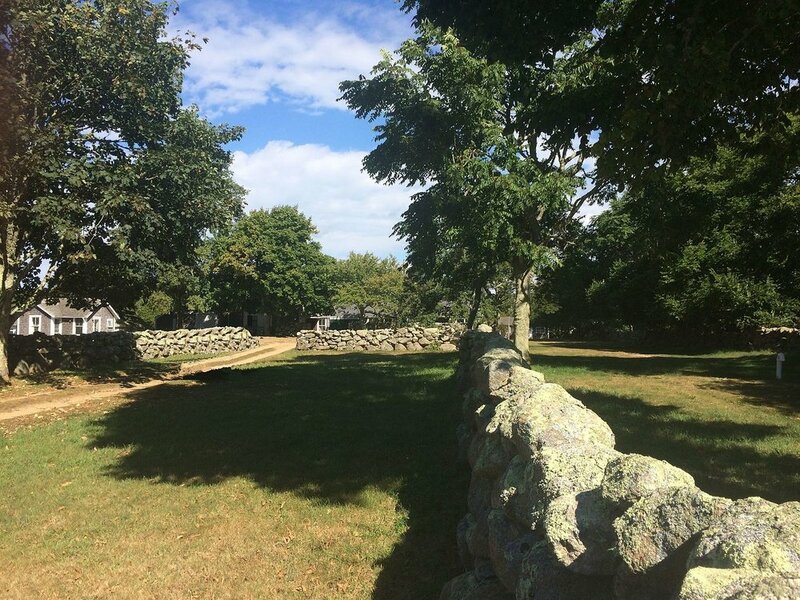 We pass Allen Sheep Farm, a beautiful, historic family farm, and the Captain Flanders House, an original island homestead and renovated farmhouse, built by whaling Captain Richard Flanders in the late 1700's. The tour continues to Aquinnah in the most western part of the Island. Aquinnah is the home of the Gay Head cliffs and the native Wampanoag community, the original settlers of Martha’s Vineyard. 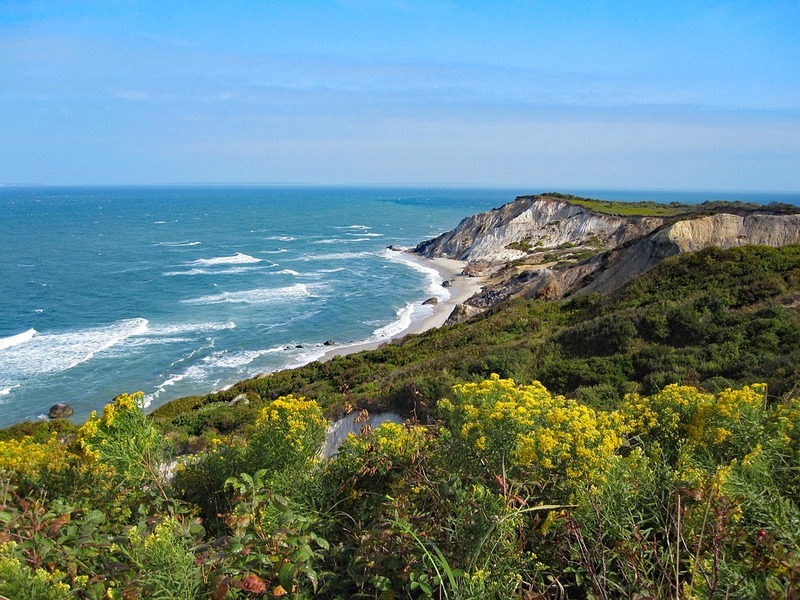 The Full Island Bus Tour includes one thirty minute stop at the incredible Aquinnah cliffs, the most picturesque spot on Martha’s Vineyard, where visitors can enjoy delicious seafood, and shop for gifts and souvenirs, while overlooking the Atlantic Ocean and Vineyard Sound. Additionally the Aquinnah lighthouse is only steps away, offering stunning ocean views for miles. Our Full Island Bus Tour will leave you chock full of Island history and knowledge. You’ll gain a better sense of Island geography, a camera roll full of scenic shots, and a new appreciation for Martha's Vineyard.